Yoga Wake Up for iOS is better than any traditional, screaming alarm clock. Instead, you can awake to the encouraging words of renown yoga instructors that help you rise, stretch and move to start your day with optimal health and wellness. Yoga Wake Up can also be used throughout the day as a reminder for meditation and mindfulness. 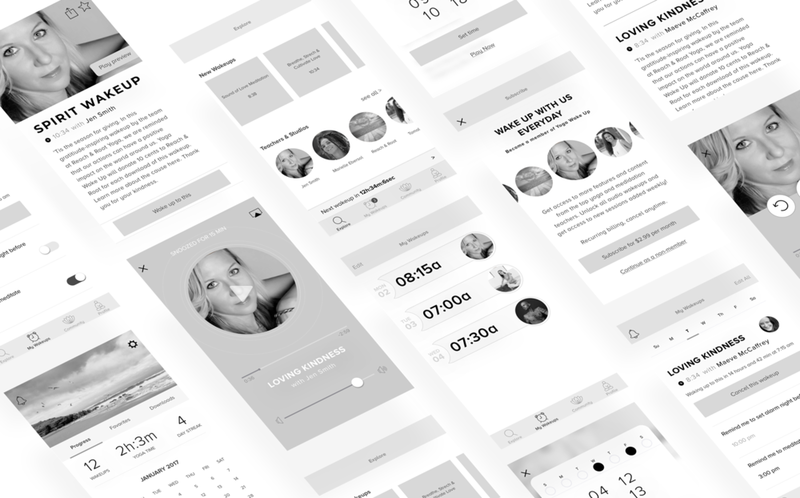 I was brought on as a product design consultant tasked with re-envisioning the mobile app and refreshing Yoga Wake Up's design style and brand. 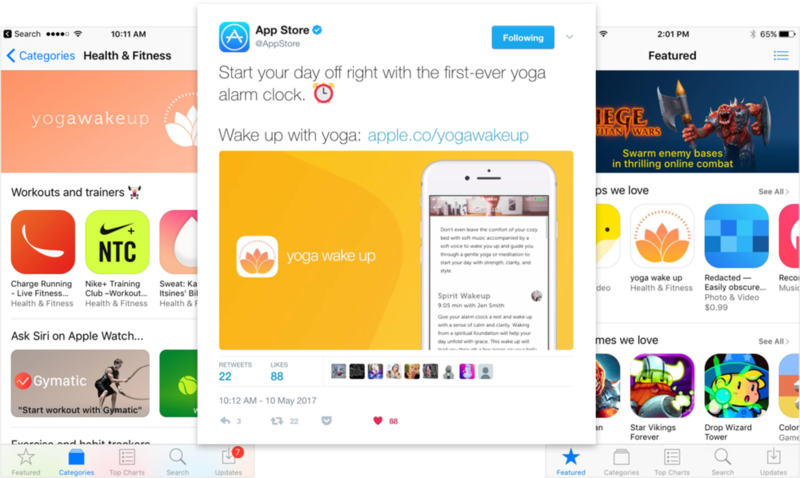 In addition to the iOS app which has been featured in the App Store as "New Apps We Love", I provided creative direction for Yoga Wake Up's social media, email campaigns and branded materials. The app features a discovery tab where users can browse wakeups by new, local or featured instructors. Diving into the detail view, users can read about a wakeup and its teacher, see details on length, music credits and even play a sample audio file. Inspired by Apple's own bedtime timer UI, the user can set their bedtime reminder as well as their wakeup time. Yoga Wake Up also tracks progress by displaying metrics and calendar views of total yoga and meditation practices. The marketing website is designed to support the mobile application in addition to featuring Yoga Wake Up's amazing blog and Instagram content. The visual design of the site is influenced by the iOS designs and further expands on Yoga Wake Up's brand feel. The color palette and design style really bring out Yoga Wake Up's positivity and value of self-improvement. Gradients of orange, pinks and purples were inspired by the sky at morning sunrise, evoking the joys of waking well rested and starting one's day with peace. 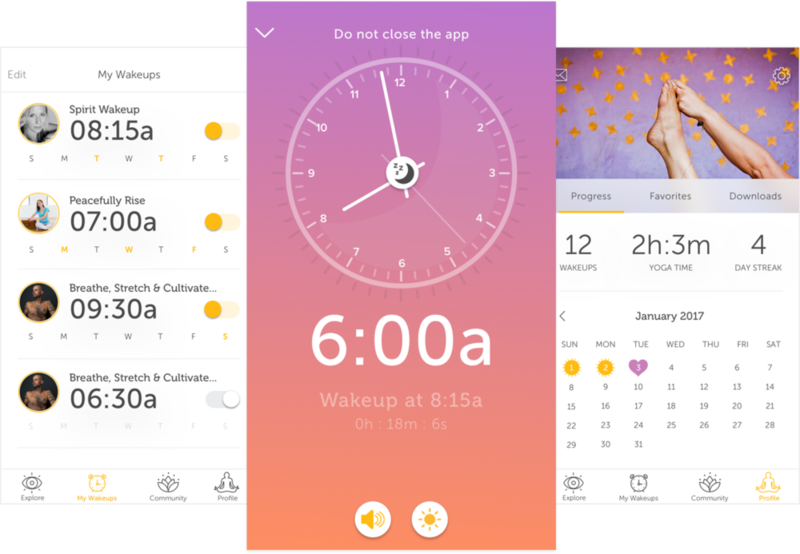 The core experience of the app is indeed, audio, so the visual design interface is designed to support the main task of listening to a wakeup. 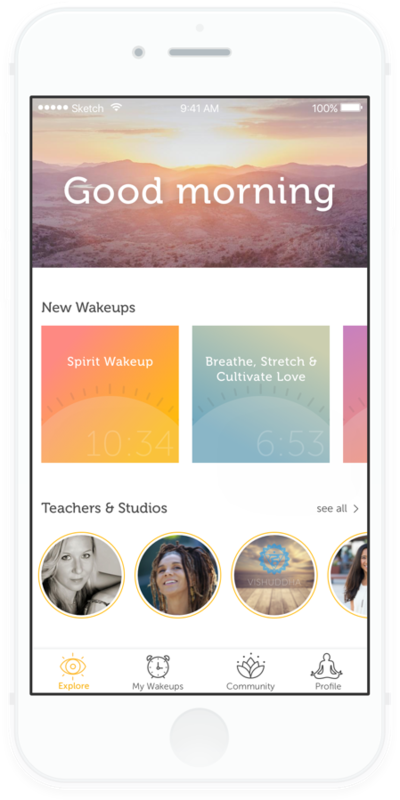 Yoga Wake Up has launched in the App Store and has been featured by Apple, Girlboss, The Los Angeles Times, Mashable and many more health and wellness publications.